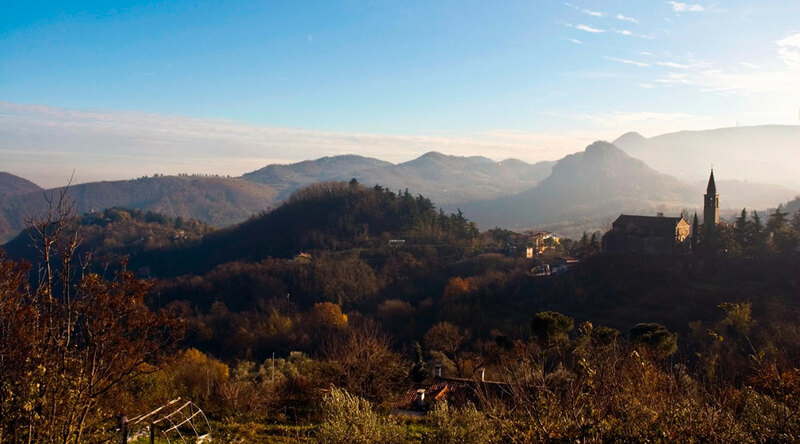 The mountainous terrain of the Euganean Hills is the result of the relationship between a geological substrate, and a very special geomorphological evolution and a history of human settlement that has prehistoric origins. From the second century BC the Roman presence is detected, with the start of construction of a road network that will give a strong impetus to the settlements. 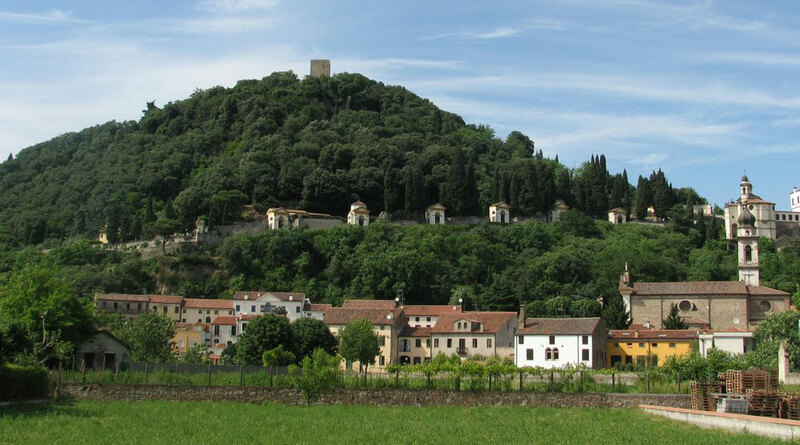 The Annia pathway, which reaches from the Emilia to Aquileia, passes through Monselice. 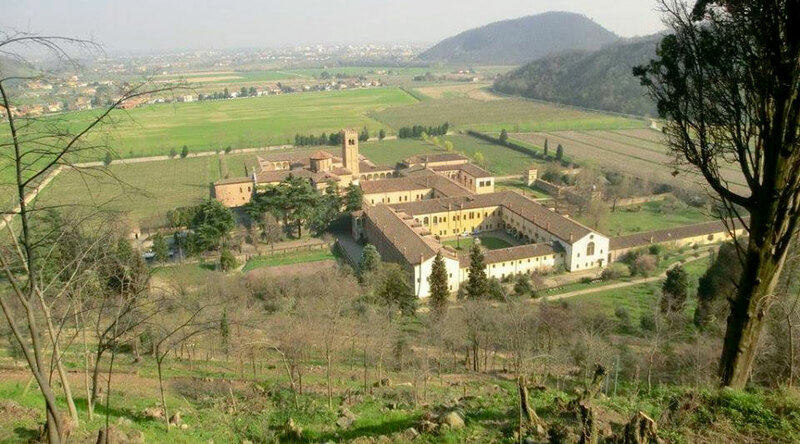 Between Late Antiquity and the year 1000, the historical evolution of the hills is connected to the crisis of the two Roman cities of Padua and Este and the consequent emergence of the Monselice Castle, while at the end of the period occurs a consolidation of new powers (the bishop and the earls of Padua, who oppose the Marquis of Este). During the Middle Ages, in the hills many curtis, churches and fortifications were extended. 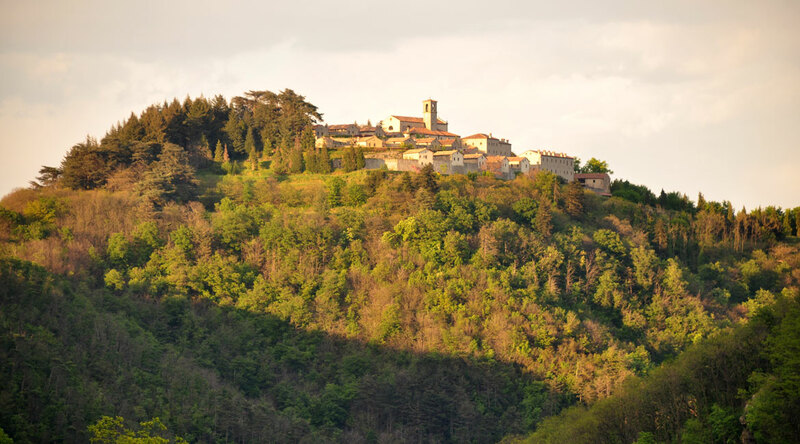 In the Euganean Hills, in the early fifteenth century, and within the domain of Serenissima, starts the building of beautiful villas belonging to the Venetian nobility; Monselice, Valsanzibio, Luvigliano, Montrerossone retain notable examples. The nineteenth century, which began under the banner of Napoleon and ended with the annexation of the Kingdom of Italy, was a century of great population growth that saw a significant land use and the beginning of mining on an industrial scale. The protection of the territory and the preservation of the landscape, are started in the seventies with the gradual disposal of the quarries and the establishment in 1989 of the Regional Park of the Euganean Hills.